Communications and media careers involve disseminating information, in a variety of forms, to the public. They include the spoken and written word, and even sound and pictures. Educational requirements vary, but a college degree can increase your chances of getting a job in most occupations in this field. Let's take a look at seven communications and media careers. See how much you can expect to earn and what the job outlook is. Broadcast technicians bring us live broadcasts of television and radio shows, concerts, and news reports. They set up, operate, and maintain the equipment that regulates signal strength, clarity, and range of sounds and colors. 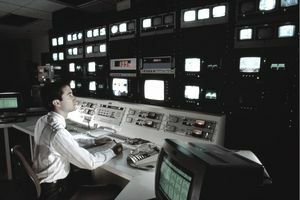 If you want to work in this field, you will need an associate degree in broadcast technology, electronics, or computer networking. Hands-on training is essential. Broadcast technicians earned a median annual salary of $37,490 in 2015. The U.S. Bureau of Labor Statistics (BLS) predicts employment will grow about as fast as the average for all occupations from 2014 to 2024, but there will be substantial competition for jobs since this field employs relatively few people. News anchors present, and often analyze, reports on television news broadcasts. They introduce stories from reporters out in the field and sometimes go to various locations themselves. News anchors often have a social media presence. You will have to earn a bachelor's degrees in journalism or mass communications, but some employers will consider hiring job candidates who have majored in other subjects. Most likely, you will begin your tv news career as a reporter. In 2015, news anchors earned a median annual salary of $65,530. A decline in employment is expected between 2014 and 2024, according to BLS predictions. Using pictures to tell stories, photographers capture images of people, places, events and objects digitally or on film. Most specialize in a particular type of photography, for example, photojournalism, or portrait, commercial, entertainment, or scientific photography. You may need a bachelor's degree, depending on the type of photography you want to do. Typically, photojournalists and commercial and scientific photographers must go to college. Technical proficiency may suffice for other areas. Photographers earned a median annual salary of $31,710 in 2015, but earnings varied by specialty. The BLS predicts employment will grow more slowly than the average for all occupations between 2014 and 2024. Public relations specialists, also called communications or media specialists, relay information from companies, organizations or governments to the public. They often use the media to spread their messages. Although there are no standard educational requirements to work as a public relations specialist, many employers prefer to hire job candidates who have a college degree and some experience, usually obtained from doing an internship. You should consider majoring in public relations, journalism, communications, and advertising in college. In 2015, public relations specialists earned a median annual salary of $56,770. Employment in this field is expected to grow about as fast as the average for all occupations through 2024, according to BLS predictions. Reporters investigate news stories and then deliver reports of what they find, either in writing or on television or radio, to the public. A reporter first gets a tip about a story and then tries to get all the facts about it by interviewing people, observing events, and doing research. Most employers prefer to hire reporters who have a bachelor's degree in journalism or mass communications. Others are willing to hire job candidates who have other degrees. Reporters earned a median annual salary of $36,360 in 2015. The BLS predicts a decline in employment between 2014 and 2024. Translators convert written words from one language to another while interpreters do the same with spoken words. Some people do both, but most specialize in one area. Many employers hire job candidates who have earned a bachelor's degree. To work as a translator or interpreter, you must be fluent in two languages, but majoring in one in college isn't a requirement. In addition to your language skills, you should have knowledge about the culture and subject matter. In 2015, translators and interpreters earned a median annual salary of $44,190. According to BLS predictions, employment will grow much faster than the average for all occupations through 2024. Writers and editors bring us the content that appears in print and online media. Writers create the material and editors evaluate it and select the content to publish. Although a college degree isn't required, many employers prefer to hire writers and editors who have one, generally in communications, English, or journalism. A liberal arts degree may also be acceptable. If you specialize in a particular subject area, you may need a degree in it. This applies in particular to technical writers. Writers and authors earned a median annual salary of $60,250 in 2015, while technical writers earned $70,240. Editors' median annual earnings were $56,010. Employment growth for writers and authors is expected to be slower than the average for all occupations, according to the BLS. Technical writers, by contrast, will experience faster than average growth. Employment of editors will decline. Employment and Training Administration, U.S. Department of Labor, O*NET Online, on the Internet at https://www.onetonline.org/ (visited March 19, 2017).